The Metro Crisis Line of Denver, CO ran a public service announcement using Lamar transit. This tail light creative reminded individuals going down a dark road to call for help. 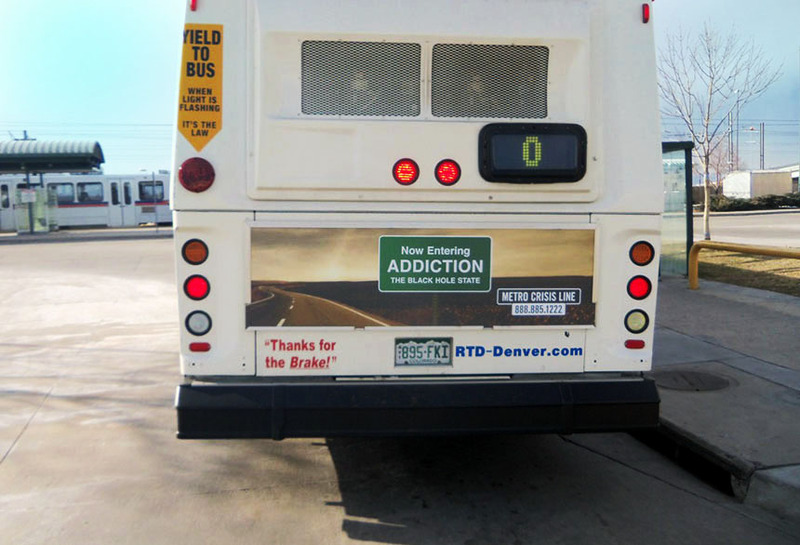 As this bus moved through key business and residential areas, individuals were reminded that they were not alone.